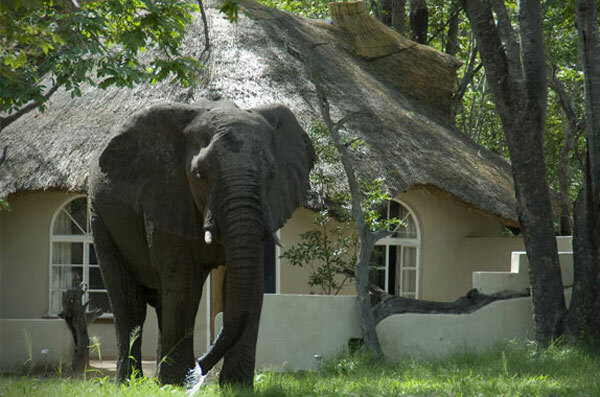 Day 1 – Guests will be picked from their hotel or lodge in Victoria Falls in the morning at 7:00 am. The drive will take approximately two hours of safe driving. Expected time of arrival at the lodge will be around 9:30 am upon which check-in will be done then guests can settle in and spend the afternoon at leisure, reading a book on the day bed overlooking the waterhole or cooling off in the pool. The first day activity will be an afternoon game drive in the private concession or the famous Hwange National Park depending on game movement. Day 2 – The day will start with morning breakfast after which guests will enjoy the Sable Sands Safari Experience; this can be a game drive in the private concession or the Hwange National Park. Game drive routes through the Park or the concession depend on the guide’s recommendation with regards to where the wildlife is. Game drive can either be morning and afternoon with brunch served at the lodge; or a full day safari experience in the Hwange national park. Day 3-Guests will do a morning game drive in the private concession then check-out after breakfast. Transport will be arranged for clients to be transferred back to their lodge or hotel in Victoria Falls.